How often do people return what they buy? 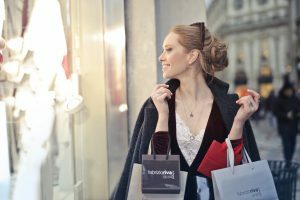 A serial returner is a buyer who regularly purchases a lot more items of clothing than they need, knowing that they’ll return most of them. A total of £7 billion a year is returned by ‘serial returners’ and recent studies have shown that 47% of items bought in Britain are returned. That is almost half! Many shoppers are ordering far more than they know they are going to need, in order to try on the clothes when they arrive and return the ones they don’t want. Some shoppers even claim to utilise this method with returning up to 80% of what they don’t want. One in ten shoppers admitted to buying one item in many different sizes and then returning all of the sizes that did not fit. The issue with this though, is that many companies find that these clothes may have been stretched or scratched, meaning that they can’t sell them anymore after being returned. As a result of this happening, shops are having to put their prices up to compensate for the money lost by these serial return shoppers. New methods are being considered to try to prevent these serial returners from returning as often as they do. The first idea is to implement a virtual changing room. This would let the customer examine how they would look in the item of clothing, to stop any incorrect predictions or shock which these buyers are claiming to experience. This would mean that buyers would struggle to claim the argument of ”I thought it would look differently on me” as they would have already experienced virtually how they should look in the clothing bought. The second idea that clothing companies are considering, is to ban people who are returning items too often. This was implemented by Amazon, as they claimed that they had to crack down on the small percentage of people who are abusing the returning policies. Other companies are considered to be very likely to follow this behaviour. As Amazon is such a massively well-known company, seeing them taking action and doing this without consumers complaining could very well influence other companies to copy. The third method being considered is to charge consumers a refund price. However, this is the least liked idea by companies. 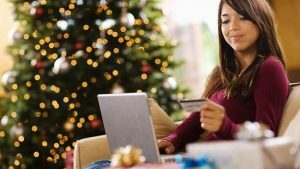 This is because 69% of shoppers said that they would expect free online refunds by stores, and if they did not receive this, then they would view the store in a negative light. This worries clothing companies, as they feel that if they implement this method, then they would lose a lot of customers and damage their brand image. However, recent data has discovered, that the longer a store has a customer for, the lower the number of refunds they tend to make. This is a result of the customer learning the sizes of the clothes in the stores, as well as the style of the brand and how they look in their items. Due to this, as well as much more data reinforcing the benefits of having a refund option, we are unlikely to see this method of the three being utilised. Many arguments to prevent serial returners, do not directly affect buyers but can decrease the issues that lead buyers to refunding in the first place. The first of these is for companies to have much clearer images online, by taking the picture of the model wearing the clothes from many different angles instead of just the one. The second is that if a customer is returning mostly shirts than trousers, to focus on marketing only trousers to them, to attempt a decrease in the amount that they are returning. These are just some of the methods and ideas out there to help prevent the serial returners. For more information about: The people who return most of what they buy Click here. For more information about: The nation of buy before you try! Click here.